A former newspaper reporter who retired earlier this year after 45 years at a regional daily has been awarded for his long service in covering two agricultural shows. David Taylor, left, retired from the Hull Daily Mail in May after joining the paper in 1967 at the age of 18 and rising to become its agricultural editor. He was honoured by the Great Yorkshire Show and the Driffield Show last month after covering each event for the last 42 years. At the Driffield Show, he was presented with the award by the Driffield Agricultural Society and praised for being a vital link for the farming community in Yorkshire. 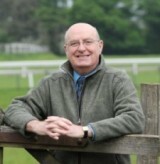 David said: “It is brilliant to be honoured by the Driffield Agricultural Society, it really is something.